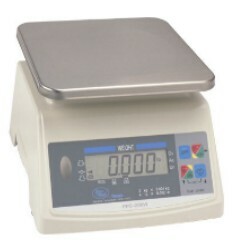 The Yamato PPC-200W combines over/under check weighing, high accuracy and portability in a wash down housing; making it perfect for use in the poultry, seafood, meat processing and food service industries. It is a very affordable washdown scale with exceptional quality and features. The Yamato PPC-200W combines over/under checkweighing, high accuracy and portability in a washdown housing; making it perfect for use in the poultry, seafood, meat processing and food service industries. It is a very affordable washdown scale with exceptional quality and features. *Combined units, such as lb/oz, are not legal for trade in the U.S. and Canada.